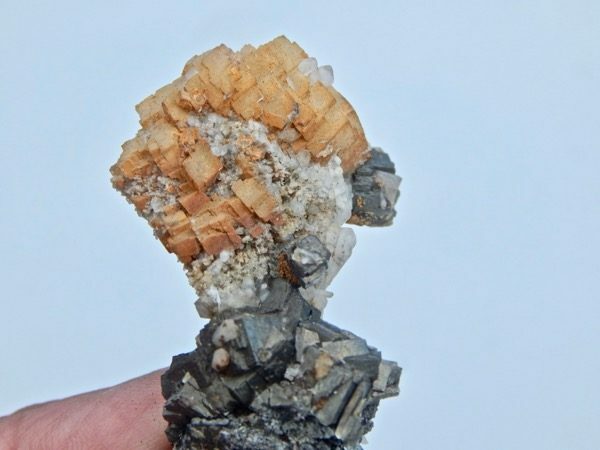 A nice, very busy specimen of siderite on calcite, sitting on a quartz and pyrrhotite matrix, from Dalnagorsk, Russia. 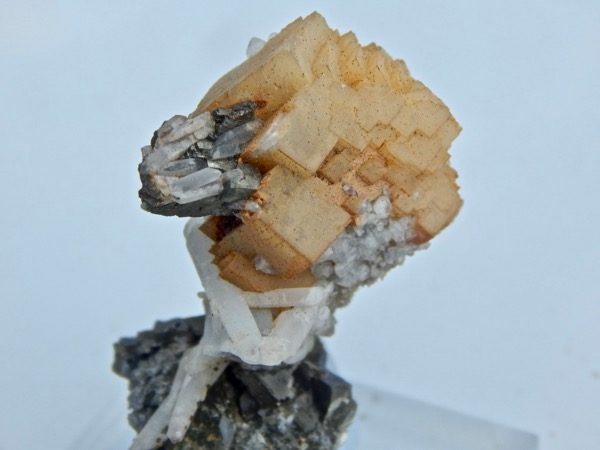 For sale is a nice, very busy specimen of siderite on calcite, sitting on a quartz and pyrrhotite matrix, from Dalnagorsk, Russia. 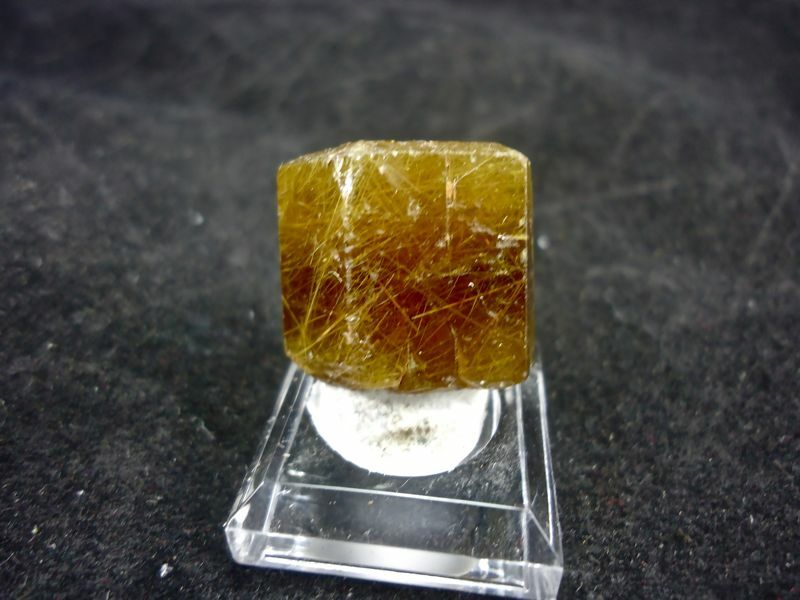 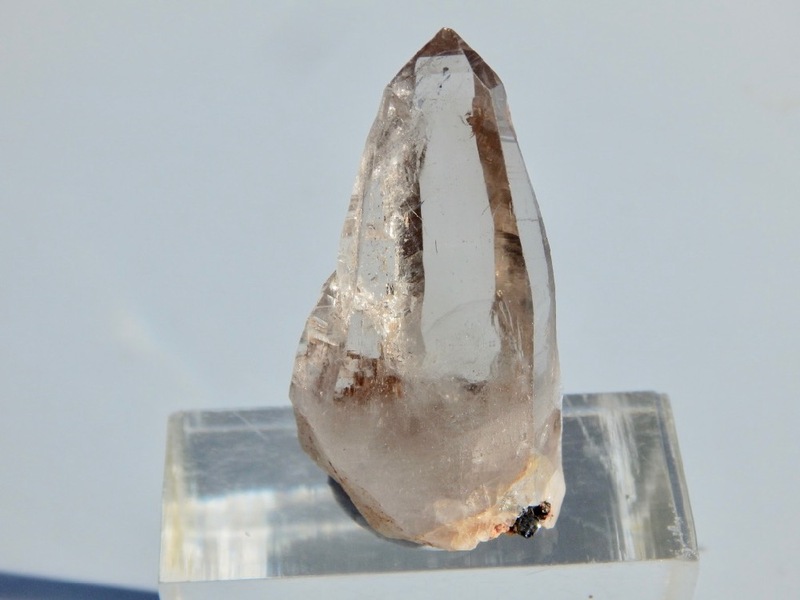 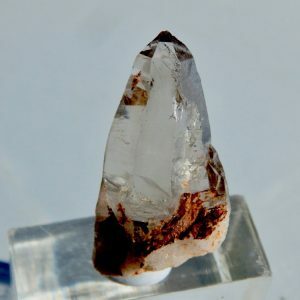 A sweet group of pristine calcite sits at the apex of the specimen, the outstanding sharp calcite has a dusting of tan colored siderite, giving in visual impact to the whole piece. 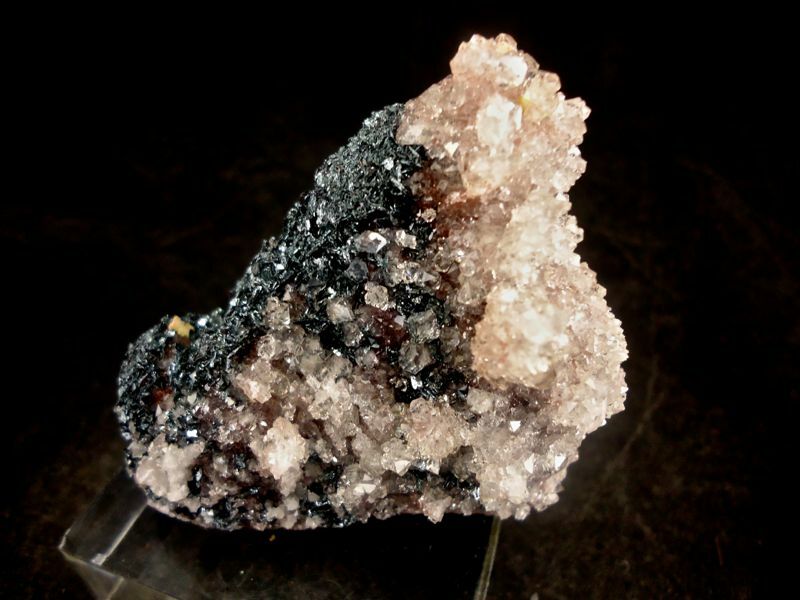 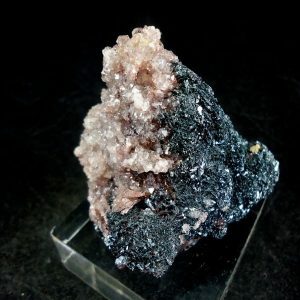 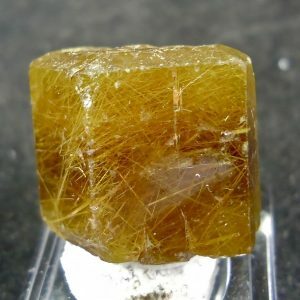 This sit on a ascending coloum of white quartz crystals then at the base is brassy colored pyrrhotite. 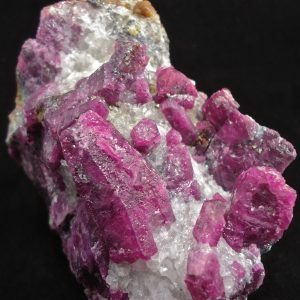 Dalnagorsk in the far east of Russia, produced some of the most beautiful mineral specimen in the world, and this specimen was hand picked by Alan Arnold on one of this visits to the region, about 15 years ago. 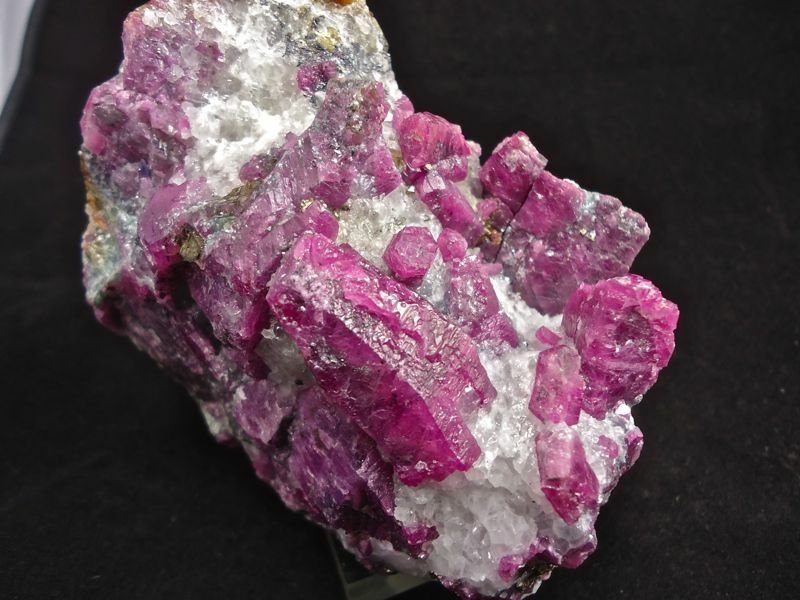 Ex Alan Arnold collection. 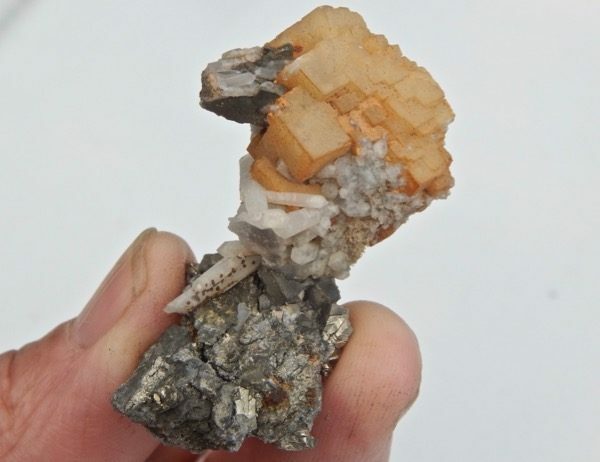 53 x 31 x 22mm.